Jesus and Muhammad are arguably the two most influential individuals who have ever lived. Over half of the world today claims to follow them and the religions they founded: Christianity and Islam.But who were these two men? Where did they come from? What did they do and teach? And what was their vision for the future? This book answers all these questions, drawing on the earliest ancient documents we have about them. In the light of the current tensions that exist in the world, the future of civilisation may well depend on how humanity responds to Jesus and Muhammad. 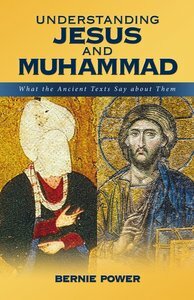 About "Understanding Jesus and Muhammad: What the Ancient Texts Say About Them"